LMD ShellPack is a collection of 29 native VCL components that can be compiled into your application royalty free. 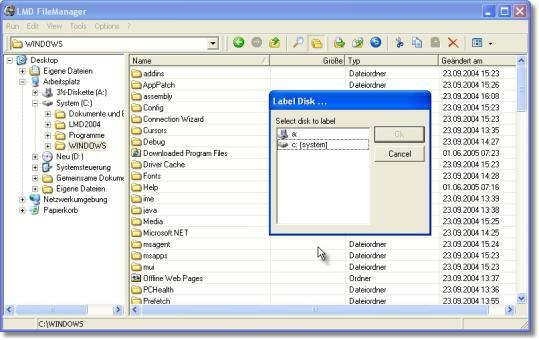 It contains shell controls which help you in all aspects to create Windows Explorer like projects. Other included components provide access to undocumented windows dialogs or advanced system functions. Release 4.0 introduced integration into LMD shared runtime packages and improved VCL.NET compatibility. Besides that 4 controls of the LMD Core package (TLMDStarter, TLMDVersionInfo, TLMDFileCtrl and TLMDFileGrep) are now part of LMD ShellPack. In MDI project ShellPack controls are demonstrated within a MDI environment. The File Attributes dialog shown in screenshot is a custom dialog created by demo (requesting and displaying information for a selected object from ShellPack services).